The European Space Agency ESA and ArianeGroup, as prime contractor of a consortium of Arianegroup, Space Application Services and PTScientists, have signed a contract to study and prepare ESA’s planned ISRU mission. In space, in-situ resource use (ISRU) is the practice of collecting, processing, storing and using materials found or produced on other celestial bodies (Moon, Mars, asteroids, etc.) to replace materials that would otherwise be brought from Earth. The ESA mission focuses on the use of the lunar regolith. Being able to extract water and oxygen from regolith is a prerequisite for a sustainable presence of humans on the Moon. In addition, the necessary fuel for future missions into deeper parts of the solar system could be produced in this way. ArianeGroup and its subsidiary Arianespace, which will provide the Ariane 6 launch vehicle, the Berlin-based new space startup PTScientists, which will provide the lunar lander, and the Belgian company Space Applications Services, which will provide ground segment, communications and related services, have joined forces to conduct this study. The innovative and wholly European consortium will be able to provide services for the entire mission, from launch to transport of the payloads required for the ESA mission to the Moon, landing on the Moon’s surface and communication back to Earth. “We are very pleased with the confidence placed in us by the European Space Agency ESA. The award of the ISRU study to the strong consortium of ArianeGroup, SAS and PTScientists underlines the current shift in the space industry,” Robert Boehme, CEO and founder of PTScientists GmbH said. “The use of space resources could be a key to sustainable lunar exploration and this study is part of ESA’s comprehensive plan to make Europe a partner in global exploration in the next decade – a plan we will put to our Ministers for decision later this year at the Space19+ Conference,” Dr. David Parker, Director of Human and Robotic Exploration at ESA added. 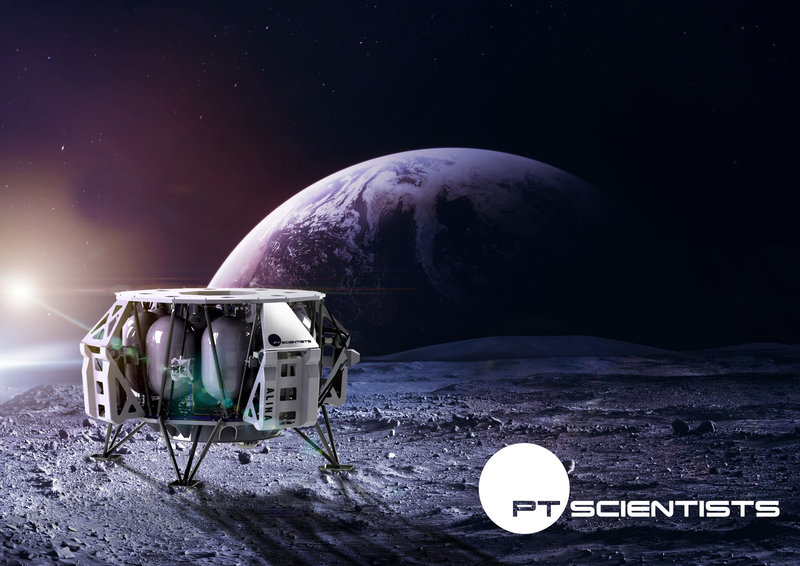 PTScientists is a new space startup that aims to be the first privately funded company to land on the Moon and to explore the Apollo 17 landing site. The company, founded in 2010, has a number of cooperation partners, in particular the key technology partners Audi and Vodafone, who are significantly involved in the mission, in particular the development of the Moon rovers and the data network on the Moon. PTScientists also cooperates with mission timekeeper Omega, mission gear partner On, the European Space Agency (ESA) and the German Aerospace Center (DLR).